Hakeem Olajuwon returns to the basketball court, bringing back the memories with a classic Dream move. By now, you’ve seen the clip. 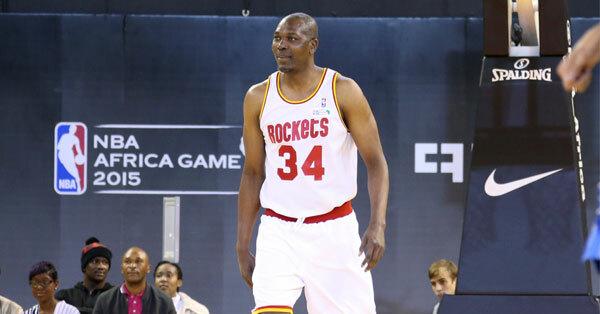 Hakeem Olajuwon surprisingly made an appearance in today’s NBA Africa Game in Johannesburg and he didn’t disappoint. 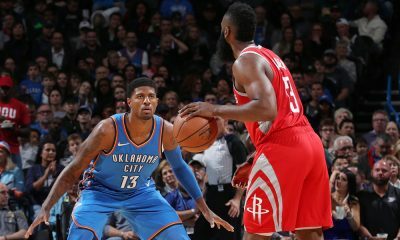 The Dream, at 52 years old, showed that he’s still got that otherworldly footwork, putting Nicola Vucevic in the spin machine and hitting a 13-foot fadeaway jumper. … imagine what it was like trying to defend a late-20’s “Akeem”. It’s hard to comprehend the damage that an in-his-prime Olajuwon could do in today’s NBA — a guy that has the body of a forward-center hybrid, moves like a guard, wields range out to 18 feet, masters every post move in the book, defends all positions, blocks everything in sight, dunks ferociously, tears down boards… it’s downright scary. Good luck rolling out your Draymond Green-smallball lineups trying to stop that in the post. Be considerate. Just keep him off Facebook, Twitter, message boards… the entire Internet, really. You never fully recover psychologically from a bamboozling like that so there’s no need for the man to relive that nightmare — he’s been through enough. 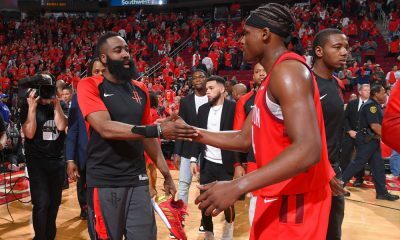 As if this clip didn’t pack enough entertainment value with Hakeem’s move and former Rocket Dikembe Mutombo’s finger-wag, we have Chris Paul getting beat again by a Rocket. I confess I get some sort of Game 6-like satisfaction seeing him float into your picture here. Only Vernon Maxwell with a well-timed mean-mug could have made this scene any better. 4. 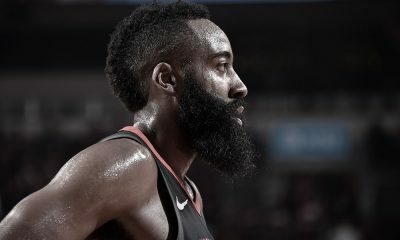 Can Any Big Man in Today’s NBA pull off this move? Seriously. Who could pull this off? 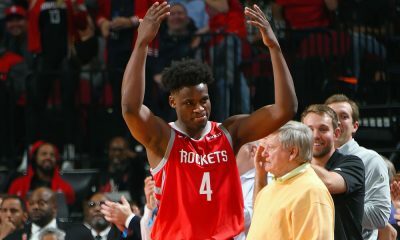 I know the defense being played here is at an All-Star game low, but I can’t think of a big man today who can execute this type of spin, twist, dance and fade move. You would have to be a strong post threat yet possess expert footwork, balletic moves and soft outside touch. That player doesn’t exist. 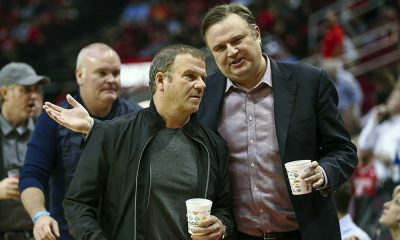 Yeah, sure, the Rockets general manager is capable of acquiring MVP candidates for table scraps and restructuring player contracts just because he felt like it that morning, but this legend has been sitting courtside for 10 years and here we are rolling out Joey Dorsey for 69 games like a bunch of suckers.